Refuel after your Black Friday shopping with Dominos! 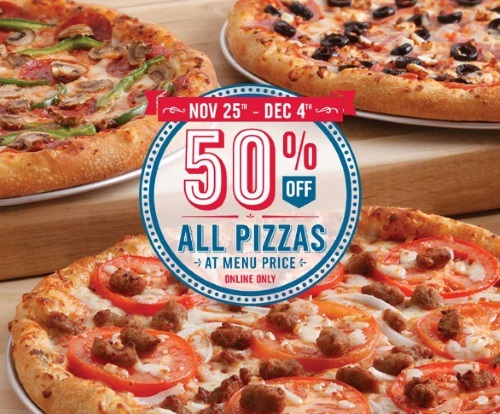 Get 50% off all menu prized pizzas with the promo code below! Enter the promo code 8700 at checkout. Offer is valid through December 4, 2016.